The Board of the Joint United Nations Programme on HIV/AIDS (UNAIDS) this week is considering a report calling for the 11 cosponsor agencies of the programme to follow the recommendations of the UN Secretary General’s High-Level Panel on Access to Medicines to improve policy coherence, and to produce reports on the use of intellectual property at country and regional levels, including the use of flexibilities. The 39th meeting of the UNAIDS Programme Coordinating Board (PCB) is taking place from 6-8 December. The meeting is chaired by Switzerland, with Ghana acting as vice-chair and Ecuador as rapporteur. The Joint UN Programme on HIV/AIDS (UNAIDS) is a joint venture bringing together 11 UN system organisations, including the United Nations Children’s Fund (UNICEF), the World Bank, the UN Development Programme, the World Health Organization, the World Food Programme, and the International Labour Organization. The report was drafted by the UNAIDS secretariat on request of the PCB. The PCB makes recommendations to the joint programme as a whole (including the secretariat and co-sponsors) or to its constituencies (such as member states, civil society, and partners). The “Synthesis report [pdf] of existing research and literature on intellectual property related and other factors impacting the availability, affordability, and accessibility of treatment and diagnostics for HIV and co-infections in low and middle-income countries,” presents research and literature review covering the period from 2001 to 2016. It spans from the 2001 UN Declaration of Commitment on HIV/AIDS [pdf], to the September 2016 report [pdf] of the UN Secretary General’s High Level Panel on Access to Medicines. The High Level Panel followed an earlier initiative called the Global Commission on HIV and the Law. According to the UNAIDS report, “At the end of 2015, there were an estimated 36.7 million people living with HIV worldwide, of whom 17 million people were receiving life-saving antiretroviral therapy (ART).” This reflect a “remarkable scale-up” in the provision of ARV medicines, but high prices of medicines, “particularly those under patent protection, can present major barriers to access to health technologies,” it said. “While intellectual property protection is enforced to provide an incentive for innovation, experience has shown that current laws fail to promote innovation that serves the health care needs of all people, especially the poor,” said the report. 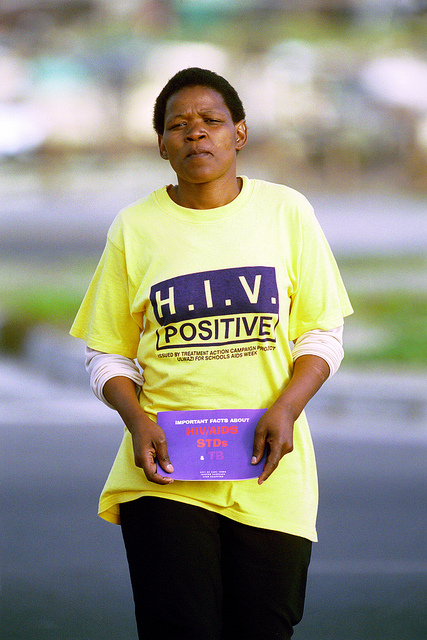 The findings of the study are divided into four thematic sections: Access to medicines and other health technologies in the context of the political declarations on HIV and AIDS; Breaking the silence, which discusses the most common barriers to access to HIV-related products; Pursuing the right balance – trade, public health and human rights; and access equity rights now, which focuses on global initiatives in the field of the HIV epidemic regarding access to HIV-related products. Equitable access to innovations in public health remains an important challenge for the international community, the report found in its conclusion, adding that the AIDS response can be a source of inspiration with the “remarkable achievements” made since the beginning of the AIDS epidemic. However, important gaps need to be addressed, it said, such as “the unsatisfactory scale-up of HIV treatment,” which is leaving groups of people behind. While first-line ARV drugs are widely available and affordable in most low-income countries, fixed-dose combinations need to be developed. Second- and third-line regimens remain expensive, partly because there is a lack of market competition, it said. “Access to innovation should be a central concern for the global AIDS response. Actions focused on the intersections between intellectual property rights, innovation and public health are vitally important for resolving market failures in medicine development and manufacture, pricing, and unmet needs for R&D,” the report concluded. WHO, UNDP, and UNICEF, the source told Intellectual Property Watch. “UNAIDS should produce reports on the use of intellectual property at country and regional levels, including the use of health-related flexibilities within the TRIPS Agreement, and produce technical papers based on empirical research and analysis of available data, including prices, and published reports, in partnership with relevant stakeholders,” the report also recommends. "UNAIDS Board Considers Recommendations On Access To Medicines" by Intellectual Property Watch is licensed under a Creative Commons Attribution-NonCommercial-ShareAlike 4.0 International License.